How Far is Bonzer Avenue? Vitrified floor tiles in living room, kitchen and bedroom. Glazed tiles in floor of bathroom, toilets & w.c.
7th height ceramic Glaze tiles dado in bathroom & toilet and 3ft height Glaze tiles dado at w.c.
3ft height ceramic glaze tiles dado above kitchen platform. Kitchen platform will be Granite with Stainless Steel Sink. Main Door will be Flush door with sun-mica at front and painted from Inside. Bedroom door will be painted on either side. Bathroom, w.c. and toilet will be both side laminated sheets door with powder coated aluminum frame. Main door and Bedroom door will have wooden frame while bathroom, w.c. and toilets will have marble frame. Main door and bedroom will have Good quality hardware fitting. Living room, bedroom and kitchen window will be marble frame and will be powder coated aluminum base glass window, with one way window glass. Living and bedroom window will be French type opened window while Bathroom, toilet and w.c. will be glass, lower type window for ventilation. All plumbing work of flats will be Concealed plumbing. C.P. fitting of bathroom will be branded c.p. fitting with hot and cold water mixer and Geezer points. Flush tanks will be provided to each w.c. and toilet. Electrical work shall be concealed work and will use ISI marked copper wire for wiring along with modular switch, for better looks of flats. Provision of adequate electrical points will be made in Living room, kitchen, bathroom toilets and w.c.
Telephone & T.V. points in living room. Painting of Internal walls of all flats will be painted by distemper paints for the flats to look better. Bedroom door, ms rallying will be painted with oil base paints. Outside painting will be painted by Acrylic paint. 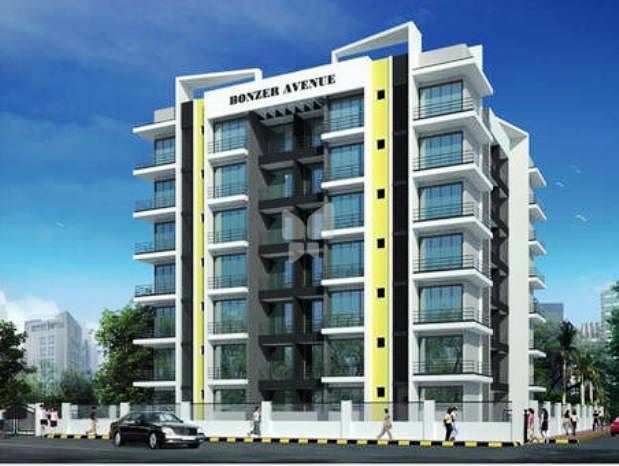 Bonzer Infra began its operation in 2000, and on the occasion of celebrating their ten years in creating quality and convenient construction for the Masses, Bonzer Infra has erected Bonzer Celebration in Khopoli as a significant way of celebrating their Ten years in business. Bonzer Infra is driven by the passion of creating dwellings that are affordable as well as exquisite in style and decoration and spellbinding in finish and texture! We dedicate all our capability to help people around the world to have Better life along with harbouring the ambition to redefine the Construction Industry and to be a looked upon as a prominent company in the Construction Industry, which shall always break established industry standards and always set the benchmark, a notch up! It is our aim be the best company in the world; and to be an Industry specialist and dedicated company that best understands and satisfies the customer, and the community at large. We establish ourselves to champion others to grow personally, professionally, emotionally and spiritually by building for them a Better Lifestyle. With our unique perspective, and belief in inherent goodness, integrity, and enormous potential that every individual has, it is our mission to Create an suitably apt environment to work in.